We will leave Vegas by the same way we arrive: I15. 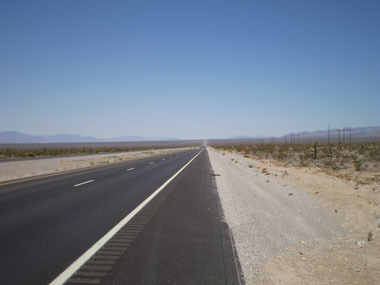 Then we will take route 160 to Death Valley in order of coming in by the Southern entrance in Shoshone. 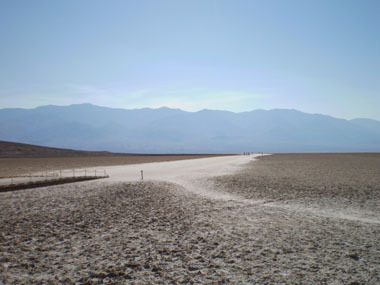 1- Badwater Basin: A salt lake in the lowest latitude point in North America. It is one of the hottest spots in the globe and temperature can easily be over 50º in summer. 2- Zabriskie Point: One of the main lookouts in Death Valley, amongst with Dante’s Peak. 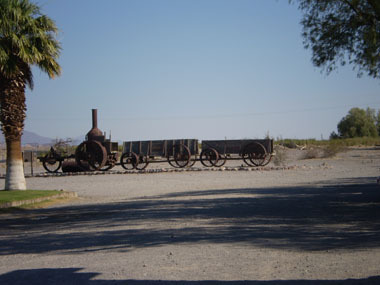 3- Furnace Creek: One of the few inhabited places. Here it is located the Visitor’s Center and it’s the logical place for lunching. 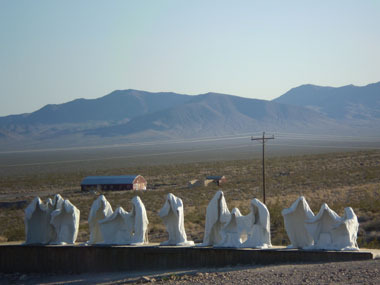 4- Rhyolite: A ghost town. When gold rush period a lot of gold seekers came to this place and it grew quickly until the gold ended and people left as quick as they came, leaving this town deserted here. 5- Mesquite Flat Dunes: Sand dunes. Here where filmed some scenes of the beginning of “The return of the jedi”. 6- Scotty’s Castle: A castle built by a millionaire and results in a quite painteresque image in the middle of such distressing landscape. 7- Racetrack: I would love reaching this place, but it is the most isolated and remote one. This is a flat mud area where big rocks leave a track behind as if they were moving in the same direction. There was no explanation to this for years, but it finally seems to be due to the strong wind being able of moving the rocks if the mud is humid and can minimize the friction. 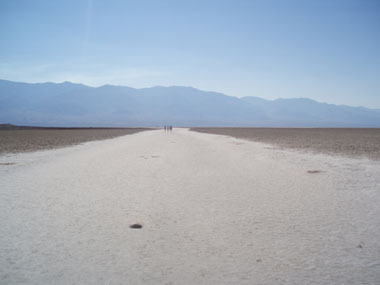 Then, depending where we are, we could leave the Death Valley by different points. We’ve no booked any room for this night as we don’t know how close to Yosemite area we’re going to be able of reach. Somehow, the most likely places to spend this night are Lone Pine, Big Pine or Bishop. .
We’re not done for waking up early and we prove that today when we take the car at 11 AM after breakfast. The first thing to do before leaving Vegas is filling the fuel tank as the word “dessert”, which is where we’re going to spend the day, is preventing us about thinking in a lot of gas stations in our way. At the beginning the road is a known one as we arrived to Vegas by this same highway but when we take the exit signed as “Death Valley” we get into the end of the world. Nothing is happening to us, it’s just we cannot see any track of life. 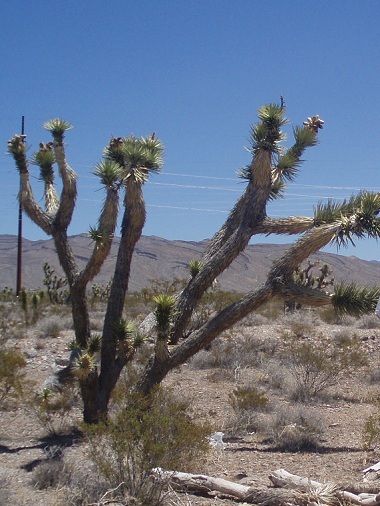 Well, the only life here is us and the Joshua trees at both road sides. The road is so well that seems to be new but we cannot find any other cars driving through it. Driving here is funny now it is the first time, but if I should take this way every day I would be beaten by this monotony. It’s like if two rolls with Joshua trees pictures would be displaying at both sides of the stopped car giving the feeling of being moving. That’s why it is incredible for us the space at the edge of the road is labeled as bike lane. For God’s sake, who rides a bike here is risking his life! It is the one in the picture below, an infinite straight path through and to the desert. And that is how we spend the morning. We only stop twice in the way: one time for a picture with Joshua trees and letting Eva to drive and another one after 50 Km for Eva gives me back the wheel saying that is not driving: she has not used the breaks or the rears or to turn an inch… in 50 Km! When we cross the state border and see the “Welcome to California” sign we know we’re close to the National Park. 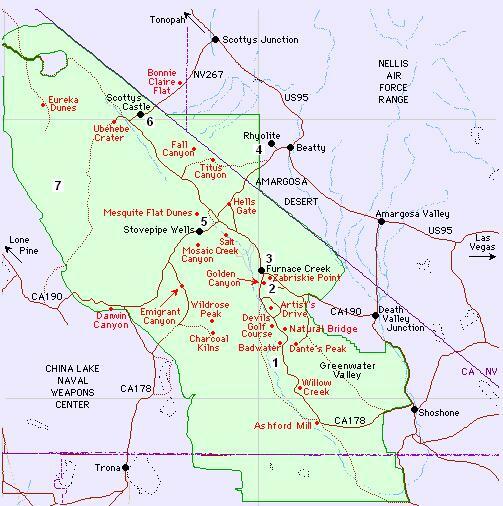 Somehow, although driving to here has been incredibly easy I must had taken a wrong way somewhere as I wanted to get Death Valley by South, in Shoshone, but I’m now in Death Valley Junction (at right at map at the beginning of the page). 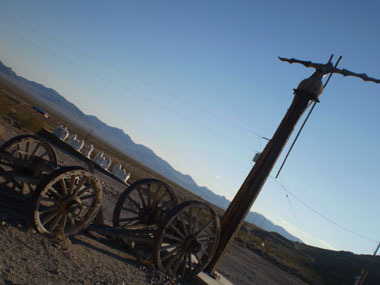 I can go on to Shoshone some more kilometers but as we’re out of time we get into Death Valley just now. Or maybe not, as we’ve spend a lot of time coming it’s possible we’ve reached Shoshone without knowing it and then North. Anyway, entrance to the park is a toilet and a ticket machine where we get our 20$ tickets after paying it by card. 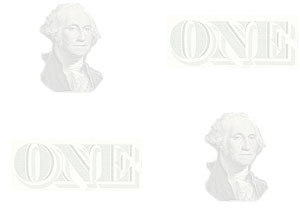 We must show this ticket in the Visitors Center to be delivered the documentation. It’s 2 PM and we still haven’t started our visit, so we can start removing the most isolated spots from our visit list. We follow the road until Zabrinski Point, well indicated and with a nice parking place where there are two cars. Our first life signs from Vegas, so the end of the world was not real. But it may be close as when we leave the car we’re immediately missing the air conditioning inside. The experience is similar to the one from an Eskimo arriving to the Hell. Is blowing a sort of breeze, although I think it is bad using the same word “breeze” for the gentle and nice air in the beach and the hot air of here boiling our face and limbs. We go up to the view point where there are two couples belonging to the cars we’ve just seen. The landscape is amazing: a yellowish rocks are around us opening in front to the vast flat salt sea over the valley. The only sound for this big range of yellows and browns is that breeze, close to the absolute silence. After the pictures, which I’ve tried to mount in the panoramic below, we come back to the car. It is not happening as yesterday in Grand Canyon, where you want to be hours watching the beautiful views. You cannot blame the landscape, but the hot air. Now we must take a decision: the way to Dante’s Peak behind us and we have two roads in front of us, the one to Furnace Creek, with the Visitors Center and the lunch, and the one to the must-do Badwater Basin. We discard the first option as we should go back for this lookout and the one we’ve just been has been superb. So we’re going to lunch and will visit Badwater after it. These are not two pictures of Furnace Creek but Furnace Creek in two pictures. It is all of it! Restaurant is big; actually, it is half of the town: there is a big bar in the middle, country music, snooker pool and burgers or pizzas as only options… This is America! My sister eats a burger with all its extras and my wife and I share a sausage and mushrooms pizza, all with cokes, by 43.30$ including 15% service tip. 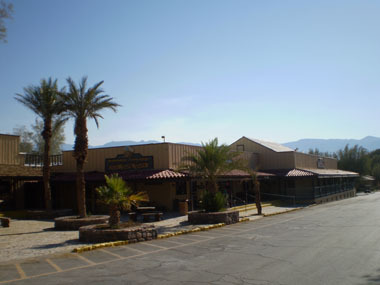 The place’s name is “Forty niner café”, recalling the “forty niners”, which is the name people gave to the gold seekers coming in the 1849’s boom. San Francisco famous football team’s name is 49ers too. Now it’s time for visiting Badwater Basin following a road along a vast flat land at our right and rocks walls at our left until the parking area. There are more cars here. A sign is telling we’re 855 meters below sea level and car is marking 50º outside. Eva doesn’t want to leave the car, but I and my sister want our picture here, so we go quickly for it and, when I’m taking the photo, just ten meters from the car, the camera is already burning. I touch the wood carefully but it is fine, metal is not. Picture at left shows the huge salt lake over the even bigger valley. We’re shocked by three crazy people we can see walking far. That’s something I would do if temperature was lower, but it is not and we come back to the fresh air in the car. Stunning, extraordinary, but get the hell out of here! In our return way I can see the road to Artist’s Palette at right and I take it. It is a secondary road and the conservation of it can show this. It is going through these rocks landscapes with good samples of the color diversity stones and earth can get here: there are the yellows and browns we’ve seen before, but also blues, reds, greens, pinks, whites, blacks… That’s why of the “palette” word in the name of this place. Picture at right is showing this, while the one at left is showing the road where we are grateful in some points of having a 4WD. Somehow, this route is longer than it seemed at map and, once inside, you must follow it until it ends in the road we left before to taking it. 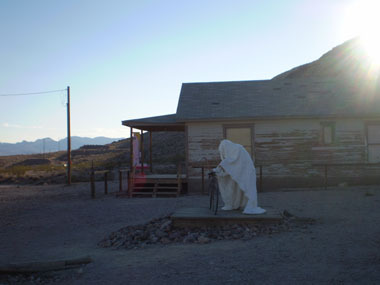 Time is running fast and we must be in the ghost town at daylight, as it is the only remaining must-do of my list. But we still can stop somewhere else in our way. I discard the Scotty’s Castle so I turn left in the intersection to Stovepipe Wells. We will come back by this same way later and go on the road as if I was turning right to reach Rhyolite through the Hell’s Gate. We start seeing the sand dunes and we stop before getting Stovepipe Wells for the pictures. It is like a mini African desert put by someone in the middle of this park: looks so out of the place. I’m walking to the dunes but my wife recalls about rattlesnakes, so I don’t go further and touch the sand. I’ve read here is the location of the filming of some scenes of “The return of the Jedi” so, going through the fiction: I’m in the place where Princess Leia in a bikini strangled Java. Being IT, sometimes I would like to strangle Java too. The name of this place is Mesquite flat dunes and it is located before reaching Stovepipe Wells, close enough as per being able to see the little houses from here. 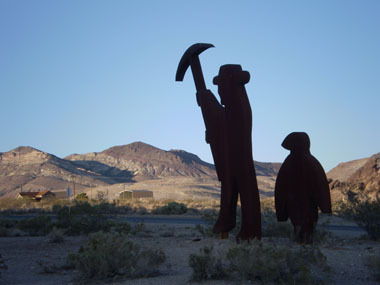 We see too there is no reason for going on this way just because we’re curious about knowing how could be a town even smaller than Furnace Creek, and turn around to take our route to the ghost town: Rhyolite. We drive through Hell’s Gate… for sure, but I didn’t realize so I cannot tell what the name “Hell’s Gate is about”. We’re close to dusk when we leave Death Valley National Park and enter again in Nevada State just before taking the short road to Rhyolite. 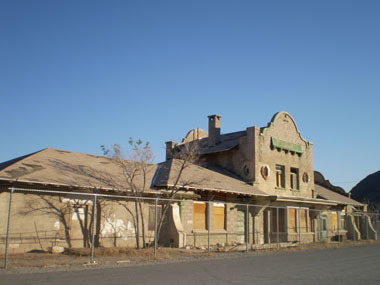 When thinking about this ghost town I imagined the remains of a village from endings of century XIX, with wooden buildings and absolutely nobody in its streets and houses, and that’s what it is, there is nobody here or, at least, nobody “real”. The surprise against my idealization is the evidences some people has worked on this town since it got deserted years ago. The place now is kind of surrealist and although it is funny I would degrade it now from the must-do list to the one with the optional spots. This is the end of the journey today, now we only must look for a place, as close as possible to Yosemite Junction, to spend the night but now we’re leave Death Valley by its East side instead of the West that is going to be difficult to achieve. We get Beatty in no time and, although it seems a good place to find allocation, I think is still so soon and we can advance some more kilometers for tomorrow, so we address to Tonopah for then turning left, through 266, and driving across the desert by the Northern side of Death Valley. As we can see night is coming we start looking at the map a target place to end today. 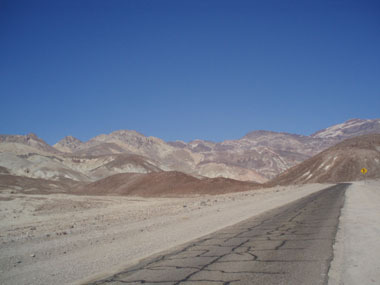 Following this road, the closest town is one called “Lida” in the middle of the way to the towns at West side of Death Valley as Big Pane or Bishop. Women are getting nervous seeing the big landscape with no track of human life – or any other life -. “No chance”, I say, “we must reach Lida”. So then, with all our hopes in that unknown place we cover kilometers as fast as possible to avoid darkness can get us on this road. All the way we have a line of mountains at our left, “fencing” the place where we’ve spent the day. We reach Lida just in time… just in time of seeing it is just three mailboxes over a stick in the ground. That’s all around the sign of “Lida”. Obviously, these three mailboxes belong to three houses, completely isolated and far in the depth of a big land, which we can barely see at far. There is nothing else, though . We must go on and now we know darkness will get us on road. We don’t know what our final destination is. Wherever we find a motel or something with a bed we will stop, whether isolated in a road side or within a town, but as soon as possible. We see a sign saying we’re entering in California State and that is cheering us up. After one hour and a half is not completely dark yet and we reach an intersection with a sign saying Big Pane is 80 miles at left. I explain we would take one hour and a half to the women for Big Pane. “One more hour and a half in the car! ?”, so no, we follow the road where we are expecting to find something sooner. But we don’t know where it is as we’re out of the map we’re using now . Somehow, when we see the “Welcome to Nevada“ sign and it’s completely dark is really when I don’t know where are we going and how today is going to end. I take the decision of asking someone at the moment I can see anybody or even a house. But there are no houses; darkness is absolute and not a single light can be seen marking a house or village. Another one hour and a half since we refused the way to Big Pane is clear we took the wrong decision. Finally, in the middle of a black screen, we can see a light which comes from a bar. It’s quite shocking as nothing seems to be around as per people coming here. That’s why I think there is only one car parked in front of it. This is a place so lonely, isolated and dark that women are scared and tell me things like “if you get in problem shout” or “As you see things inside just run”. At the moment I leave the car I can hear they’ve put the safe. Inside, there are just a big woman behind the bar and a drunken man at the other side. This is not the paradigm of fun: no decoration, no music, just an old snooker pool occupying the left side of the place. This could be like this since 10 or 100 years ago, I cannot tell. As I must be the biggest news in months, the woman is surprised to see me at the beginning, and then I ask for a motel before reaching the bar. The woman answers there is nothing close and then I explain I wanted to reach Bishop or Big Pane but being back in Nevada makes me thing I’m in a wrong way. She tells me I shouldn’t be worried as this road gets into Nevada for a bit but then returns to California: I must go on this road straight until it ends in a “T”. There, a sign will indicate Bishop way is left. I thank her help and go to the door when she, when I was expecting a “good bye”, says “Be careful with horses”. I’m shocked for a second and then I answer I’m going by car while telling myself it’s not only the place, but these two may be here for 100 years too. But she clarifies: “No, wild horses. Wild horses cross the road by night and cause car crashes”. The misunderstanding with the horses is clear now, but now I’m really worried. “I will take care. Thank you”, I say while leaving the place back to the car, looking around for a confirmation I’m not in a David Lynch's movie. Back in the car I explain all the conversation and it results to be funny, but as now we’re still living the problem, we just keep all our eyes in the road and are able to see some yellow signs with a horse on them. We follow the indications for one hour something passing through places as Mamooth Lakes, once back in California. We’ve got the feeling of having magnificent landscapes around, hidden for us, as the only we’ve seen the most of the time has been the lights of the car over the close road in the middle of the most absolute black bottom. Now, we’re in a gas station filling the tank again and asking for indications to finally reaching Bishop. It is just 30 minutes going on that road, but when I realize where we are I can feel the irony: this is the Junction to Yosemite, the first place where we must come tomorrow morning and the one I used as reference. Remember my plan for ending today was spending the night as close as possible of Yosemite Junction. Looking at the map now I can see a lot of better ways than the one we did between Beatty and Bishop. The most logical one had been taking that 80 miles road to Bishop we discarded because it was too long!. 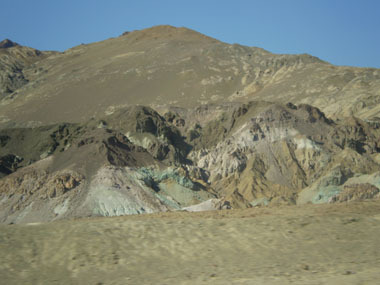 The shortest one is across Death Valley for leaving the park by its West side in Lone Pine. The warnings about desert dangers at night make us avoid that route, but I must say now the places we drove outside the park are equally lonely and dangerous in animals – mainly coyotes – as are living the same species. By the way, Death Valley is a good place to see roadrunners, although they’re hard to see. We get into Bishop around midnight after more than five hours driving since we left Death Valley. Added to the hours driven before, we’ve got a new record of miles today. The street is full of lights from known allocation franchise. There is no vacancy for the Best Western and the Motel 6, but there is one free room in the Comfort Inn, so we take it. A young man asks me for the passport and when he checks it is from Spain he says: “Spanish, hu?, “Yes, from Barcelona”, I answer. “I’ve been in Peru a couple of years ago and visit Machu Picchu. It’s very nice”, he comments. “Yes, it must be. I’ve never been in South America, but I will someday”. He then realizes about the mistake and stop talking. The last challenge for today is getting some dinner as at this time everything seems to be closed. We can finally get something using the drive through of a fast food place, which is closed for coming inside. We take the brown paper bags with our meal directly to our room as we’re tired .